Last month, 2Mex signed with Strange Famous, the independent label (and growing online store) run by iconoclast Sage Francis. 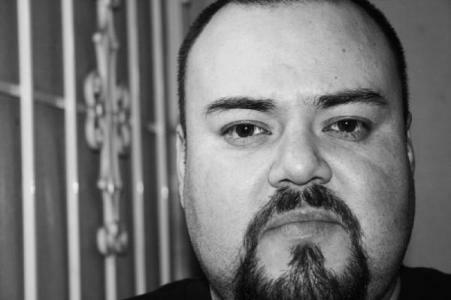 One of the great L.A. rappers, 2Mex hasn’t released a nationally distributed solo project since Mean Street Records issued his 2004 self-titled album. However, he has continued to drop collaborative effors at the drop of a dime, most recently with the Mars Volta’s Ikey Owens (the Look Daggers’ Suffer In Style). This “golden boy of hip-hop” is possibly the most prolific underground rapper ever, with at least 35 CD releases and too many guest appearances to count. Through hard work and determination, while touring the globe many times over, he has built a cult-like following that tries to keep up with his massive output. Therein lies an anxiety problem and it’s one we’re determined to remedy. Over the years we’ve had many discussions about the industry, life on the road, and the non-stop grind that indie artists shoulder through in order to reach the “next level” while maintaining their integrity. In this case, the “next level” is raising one’s status, exposure, and access to the public. Breaking the ceiling when you need a sun roof. The topic of having 2Mex on SFR was raised and I thought it was perfect. He’s a road dog, he has a penchant for girl trouble, he’s a husky man with a beard, and he’s a freestyling fool. He agreed. We celebrated. We’re plugging away at that project right now. This entry was posted in Coming Soon, News and tagged 2Mex, Strange Famous. Bookmark the permalink.